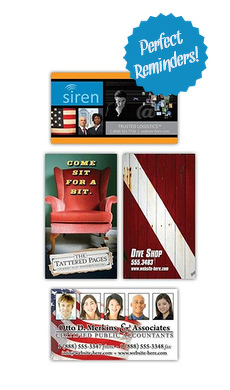 Creating your business card magnet with your services and/or contact information has never been so easy. With our 20 mil thick business card magnets, these are a cost effective way to grab your current and potential customers' attention, ensuring that your message will stick in their minds. Your magnetic business cards are designed and imprinted with your unique artwork. With the help of our graphic department specialists free artwork design service, you will be ensured you are getting something truly exclusive for your company. Designed with four color printing on a 2" x 3.5" size magnet with square corners and crafted using 20 mil thickness, complete with a professionally glazed laminated finish. If you would like a thicker magnet click here.